Pembrokeshire’s glorious countryside is home to a number of beautiful producers that deliver a plethora of stunning products that visitors to our resort just can’t get enough of. To celebrate the county’s diverse of locally produced specialties, we’ve bought together a list of some of our favourite small producers from around Pembrokeshire that are delivering some big hits on the food market! Operating from a quaint wooden shed on the eastern shore of the Daugleddau Estuary, Coedcanlas owners Nick and Annette have created their brand having lovingly reared and nurtured a colony of bees in 90 wooden hives. Using traditional family beekeeping and breeding methods, the couple have spent years developing naturally strong and healthy bees. Remote and unspoilt, Coedcanlas provides a perfect setting to gather and create their unique range of artisan products. The company produces a number of artisan preserves, from wild honey to marmalades, a Sicilian collection and a diverse range of cakes and other treats. A local farm that is proudly into its fifth generation of producing quality new potatoes, tomatoes and other vegetables from the fertile fields of south Pembrokeshire, Bubbleton Farm House has subsequently diversified to sell a rich array of products. From farm fresh meats, to delicious vegetables and free-range eggs, we can’t get enough of the products sold by Bubbleton Farm House. Indeed, such is our love of their range that we’re proud to sell Bubbleton hampers at our Resort! Boasting a variety of produce including local meats, breads, eggs and a great deal more you can check out the hampers here on our website! Tuck into fresh baked bread with Loafley Bakery and Deli Co.
A family owned bakery and delicatessen in Tenby, Loafley Bakery and Deli Co. have an in-house kitchen where they bake fresh loaves, cakes and pastries daily. The company also has a beautiful sister café, the Mooring, which you can find just up the road from their shop. This great Pembrokeshire producer provides the wonderful bread in our hampers so we can personally vouch for the quality of their produce! If you’d like to learn more, then you can do so by visiting their site here. The beautiful harbour, long sandy beaches and historical architecture that adorn the vibrant town that the Harbwr Brewery calls home makes it the perfect spot for inspiring perfection in any endeavour – including the art of brewery. Alongside their award-winning ales, they also sell a number of other products, including gin, all-important beer mats and perhaps most surprisingly an ale soap made by the Really Wild Soap Company. Or get fruity with the Pembrokeshire Cider Company! Apples, apples, apples and more apples! As Ned Flanders always says “If its clear and yella, you’ve got juice there fella. If it’s tangy and brown, you’re in cider town!”, and who knows more about all things apple-based than the Pembrokeshire Cider Company? Whether it’s their Henry VII medium dry cider, delicious scrumpy, smooth apple juice or innovative condiments – you’re guaranteed to be impressed by their diverse product range! Check out this award winning company’s produce here! Situated in the rolling countryside sits the magnificent Cwm Deri Estate, a 3000 vine strong vineyard that offers one of the most unique experiences within the entire county. Established in 1990, the 3000 vines were painstakingly planted by hand by founders John and Lyn Hamilton Cowburn as nine-inch long two-year-old rooted cuttings. If you’re looking to explore the best produce that Pembrokeshire has to offer or to amble through the outstanding beauty of Pembrokeshire’s only vineyard on your visit to the Celtic Haven Resort then you can visit their website here! A visit to Pembrokeshire isn’t complete without an ice cream and Fire & Ice is hands down one of the best producers that the county has to offer. With sorbets and gelato on offer, this Narberth shop has won numerous accolades – including two awards in the 2018 Great Taste Awards! As well as their frozen dessert treats (the ‘ice’), the company also sells a number of liqueurs, ales, ciders, gin and vodkas (the ‘fire’) to accompany them. You can check them out on their site here! Pant Mawr Farmhouse Cheeses was established in 1983 by the Jennings family – run by David, Cynthia and Jason Jennings at their small traditional Welsh Hill Farm located in Rosebush, in the foothills of the Preseli Mountains. Pant Mawr Cheeses have been developed using locally produced milk, they combine their self-taught skills and unique self-developed recipes to produce a range of mouth-watering, traditional hand mad cheeses. The family’s fantastic farm shop offers an array of cheeses over the counter, along with a fantastic selection of other locally produced products – and if a trip to Rosebush isn’t for you then you can even buy their goods online. Check out this great video they’ve produced on how they make their cheese! 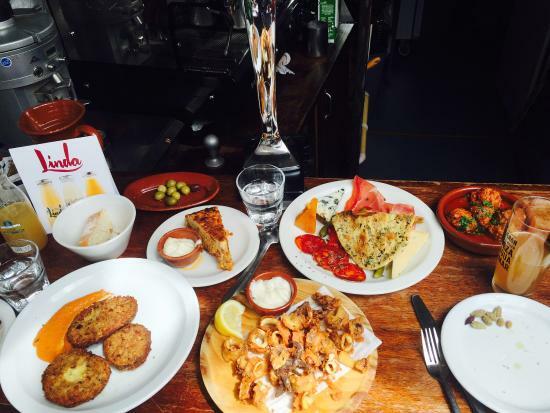 If you travel to the beautiful village of Narberth during your visit to the Resort then you need to check out the Ultracomido Spanish deli and importer of traditional Spanish foods and drinks. The company sells an array of beautiful, authentic cured meats, olives, nuts… and so much more that we’d be here forever if we looked to list them all! Alongside their cured produce, Ultracomido also over a variety of wines, beers, spirits and liqueurs. Also available online, Ultracomido adds a little bit of Spanish flair to any visit to glorious west Wales! We hope you’ve enjoyed our guide to some of the best local produce that Pembrokeshire has to offer, hopefully it’s inspired you to go out and explore what the county has to offer!